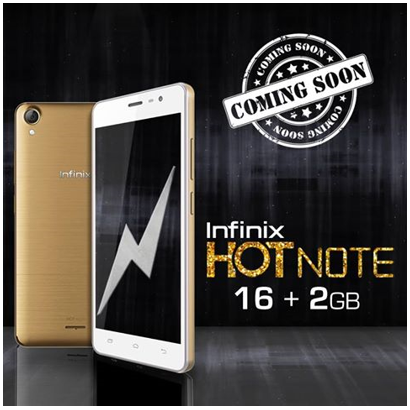 Infinix is set to unveil the 2GB RAM version of their Hot Note smartphone. However, the smartphone is expected to come with the android lollipop operating system and a 16GB internal storage. Though Infinix didn’t reveal the full specification of the smartphone, but it’s expected that the Infinix Hot Note 2GB RAM version would feature a 5.5-inch display with 720 x 1280 pixels resolution, 8MP rear camera and a 2MP selfie front camera coupled with an octa-core processor alongside with MediaTek chipset. According to Infinix, the 2GB RAM version of the smartphone comes with a 48hrs-long lasting 4000mAh battery. Needless to say, none of this has been officially confirmed except for the RAM and battery capacity, so take stay connected as you we be updated as soon as it is been launched. Previous Discuss: What Do You Think About Fingerprint Scanners?